Each year the films showcased in the DocFilmMusic competition surprise the viewers with great diversity of sounds and music genres. The selection is a meeting place for biopic stories of world renowned stars, such as Miles Davis and Steven Tyler, and tales about anonymous heroes. We can see the most grand stages of the world juxtaposed with intimate home studios or small rehearsal rooms of local culture centers. This will also be the case during the 59th edition of the Krakow Film Festival. The portrayals of charismatic rock legends are surely the front runners of this year’s competition. In one of them (“Steven Tyler: Out on a Limb”, dir. Casey Tebo) we can follow a new artistic path taken by the leader of hard-rock band Aerosmith. In 2016, an almost 70-year-old Steven Tyler set out to launch his solo career and recorded a country style album “We’re All somebody From Somewhere” with his new band. Their daring show in Nashville- the country music capital, footage from backstage and Tyler’s own story about the road he has traveled – all create an image of a free and wondering spirit, who found a new place for himself. On the other side of the Atlantic Ocean, almost simultaneously, a German punk-rock super group Die Toten Hosen sets of on their biggest tour in history. In this music and concert documentary (“Die Toten Hosen – You Only Live Once”, dir. Cordula Kablitz-Post) we have a possibility to watch this legendary band – both in the spotlight and on the backstage. The Krakow audience will have a chance to meet the group live during a special concert at Klub Studio, which will take place just a couple of days after the Festival ends. A French documentary “Inna De Yard”, directed by Peter Webber, transports the viewers to a hillside mounting over Kingston in Jamaica, to a house filled with all vinyl records and the voices of past reggae music legends: Ken Boothe, Winston McAnuf, Kiddus I and Cedric Myton, the famous Congos leader. The artists rejoined as part of the “Inna de Yard” project, in order to come back to their biggest hits and record an extraordinary acoustic album, filled with music tracks that are familiar not only to the fans of the characteristic reggae riddm. Three exceptional women are the protagonists of the next music documentaries selected for the competition. 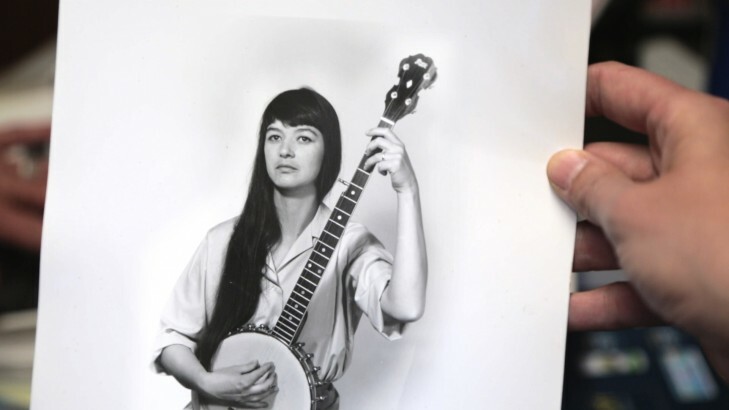 The first is an iconic singer, Bob Dylan’s close friend and a forgotten muse of the 60s, Karen Dalton. “A Bright Light – Karen and the Process” (dir. Emmanuelle Antille) is a film filled with the breathtaking voice of this artist, taking the viewer on a mystical journey through her work from Colorado up to the legendary Woodstock. 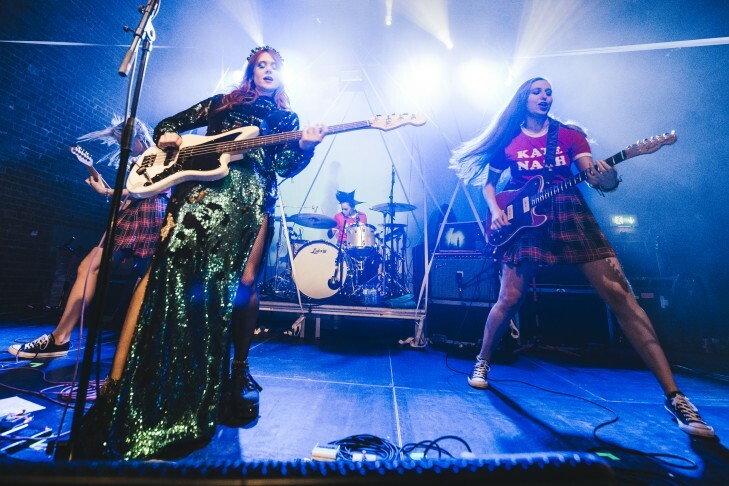 Kate Nash is a filled with youthful rebellion Brit Awards winner, an eccentric music composer, author and the queen of wrestling in TV’s “Glow”, who steps away from money and fame to openly talk about gender inequality in the music business and convince other young women to find their own voices. “Kate Nash: Underestimate the Girl” (dir. Amy Goldstein) is a story about female strength and the struggle of artists faced with the ruthless music industry, where only few have a chance to create their art on their own terms. The hard clash with the brutal phonographic world is also the theme of the documentary “Once Aurora” (dir. Stian Servoss). The title Aurora is a petite teenager, coming from a small town in western Norway, who took the international music charts and stages by storm. After years of exhausting tours and fighting for her artistic identity, she is faced with a dilemma. Is this the road she needs to take to fulfill her dreams and creative passions? A Dutch film “The Disciples – a Street Opera” (dir. Ramón Gieling) follows the members of an amateur choir of the homeless, who are practicing an opera composed especially for them entitled The Disciples. The faiths of the cruel and ruthless protagonists of the piece are slowly interviewing with the lives of the people who play them and their reality is alarmingly similar to the artistic work. In “The Men’s Room” ( dir. Petter Sommer, Jo Vemund Svendsen) documentary we meet 25 middle-aged men who meet every Thursday to take a break from their everyday life, drink beer, tell filthy jokes, sing obscene rock songs and even have a gig supporting Black Sabbath at a major concert in Norway. Despite their different backgrounds, they have an extraordinary bond and a true friendship, that passes a hard exam when they are faced with the transience of life. The hero of the of “Tõnu Kõrvits. Moorland Elegies” (dir. Marianne Kõrver) is Tõnu Kõrvits – one of the most popular Estonian contemporary composers and his unusual, poetic and visionary music, filled with vibrating polyphony and subtle harmonies, that take the listeners onto mystical journeys. This visually stunning documentary is also a story about people, fireman, drivers, physiotherapist and even the President of Estonia, who all had taken this journey. The name of Rudy Love, the title protagonist of “This is love” (dir. John Alexander) is not commonly recognized, not unlike his voice. This film has a videoclip style, edited with the use of rich archives, where Mick Fleetword, Sidbad and George Clindon discover this unusual soul musician decided to leave fame in order to start a family. The competition line-up is wrapped up by a portrait of an unquestionable legend, the creator of cool jazz – Miles Davis. The documentary “Miles Davis: Birth of the Cool” (dir. Stanley Nelson) is a fascinating collage of never before seen footage, including unique photos from the master’s studio sessions and unknown interviews. Quincy Jones, Carlos Santana, Clive Davis, Wayne Shorter and Ron Carter all take the viewers through the extraordinary career and life of Miles Davis – a one of a kind music visionary. Undoubtedly, a special attraction of this year’s edition will be the presence of Brett Morgen, an outstanding American documentary filmmaker, with whom the Polish and Krakow audience is very familiar with thanks to his film “Cobain: Montage of Heck”, internationally recognized and awarded with the Golden Heynal in 2015 and his newest film “Jane”, which was presented at the Festival last year. Brett Morgen will be the chairman of the DocFilmMusic Jury. Films qualified for the remaining competitions will be systematically published on the website www.krakowfilmfestival.pl.